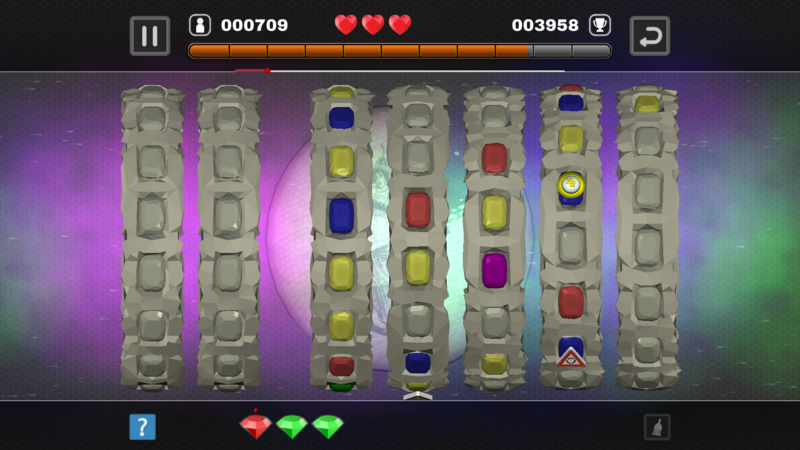 Spinning Stones is a simple experimental arcade/puzzle game with elements of "match-3" genre. 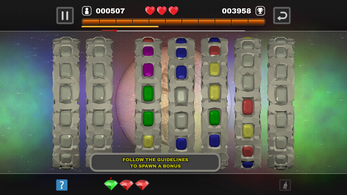 The game is based on seven rotating wheels. Every wheel holds fourteen stones. To score, select any three stones of the same color. Make a mistake and you will loose one life. 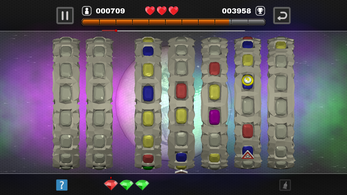 The game starts slow, casually, but every tap on a stone will increase speed of its wheel, and only a handful of players will last over five minutes. As you gain more experience, you'll have to adapt to new time limits, traps and boosts. 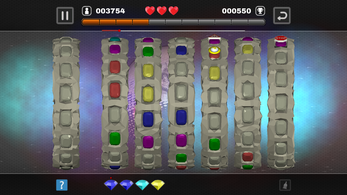 After five minutes of playtime, once you unlock the last level, Spinning Stones will challenge even the most focused players. Game is made in Unity3D. 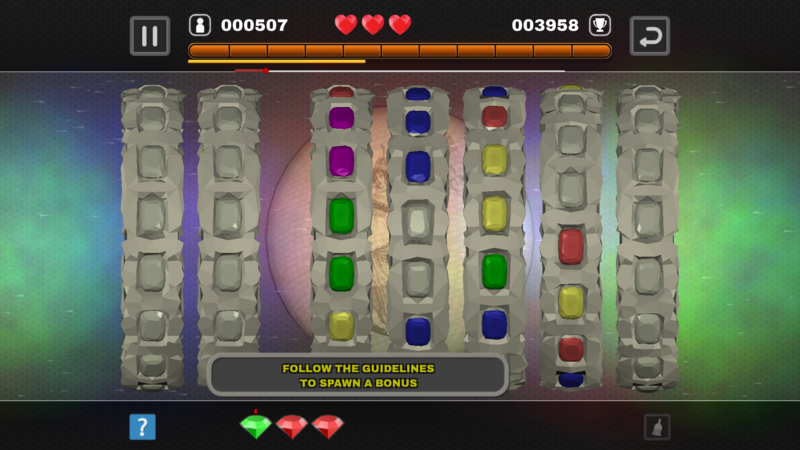 Spinning Stones is freeware released under proprietary license. - Download version designated for your operating system. - Unzip Windows version to any directory of your choice. - Type "tar xf <filename.tar.xz>" to unpack Linux version or use GUI tool supporting "xz" compression. - Only 64-bit operating systems are supported.